Bass-baritone Sam Kreidenweis’ stylistic versatility, rich sound, and engaging stage presence has gained him praise nationally and abroad. As a vocal chamber music artist Sam appears nationally with Skylark Vocal Ensemble (Atlanta, GA), Kinnara Ensemble (Princeton, NJ) and Vocal Arts Ensemble (Cincinnati, OH) and has sung previously with the Grammy Award-winning Phoenix Chorale. Internationally Sam works with the Dublin, Ireland based ensemble Anúna with whom he has toured throughout Ireland, the United Kingdom, the Netherlands, Belgium, China, and Japan. While singing with the Phoenix Chorale he recorded the Rachmaninoff All-Night Vigil with Chandos Records alongside the Kansas City Chorale. Other album credits include Revelations with Anúna and two recordings with Skylark Vocal Ensemble – Forgotten Dreams (2013) and Crossing Over (due to be released in 2016). He has worked closely with conductors, directors and composers such as Charles Bruffy, Craig Hella Johnson, David Charles Abell, Gil Rose, Michael McGlynn, Neil Gittleman, Scott Allen Jarrett, and Tara Faircloth. In 2008 Sam joined the Dayton Philharmonic Orchestra as the soloist in a work by living composer Moira Levant based on the poem by Liam Mac Uistín that is inscribed in the Garden of Remembrance in Dublin, Ireland. The following year, maestro Neil Gittleman invited Sam to return as a soloist for the world premiere of Songs of Rumi by Jeff Olmsted. Other solo appearances include the Vocal Arts Ensemble of Cincinnati (Bach Mass in B Minor), Boston University’s Marsh Chapel & Collegium (Buxtehude Membra Jesu Nostri; BWV 1 & 67), Solis Camerata (Bach Jesu ist meine Freude; Monteverdi Vespers of 1610), Camelback Bible Church (Handel Messiah), Dayton Philharmonic Youth Orchestra (Rutter Mass of the Children), and University of Dayton Chamber Choir (Fauré Requiem). As a Choral Scholar at Marsh Chapel he is also frequently featured on the Marsh Chapel Choir Bach Cantata Series. 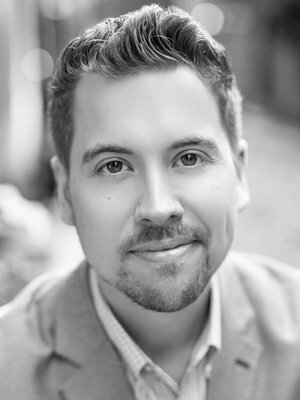 No stranger to the operatic and musical theatre stages, Sam has worked with the Dayton Opera, Cincinnati Opera, Arizona Opera Company, and the Lyric Opera Theatre at Arizona State University. His roles have included Figaro (Le Nozze di Figaro), Bob (The Old Maid and the Thief), Cinderella’s Prince and the Wolf (Into the Woods), and Harry Witherspoon (Lucky Stiff). While with the Arizona Opera Chorus he also worked as a Teaching Artist with their education outreach program, Operatunity. Sam currently continues his work in education by giving master classes for both youth and adults with Anúna. Upcoming engagements include the Easter Oratorio and a new commission by composer James Kallembach with Marsh Chapel Choir and Collegium; Rachmaninoff All-Night Vigil with Skylark Vocal Ensemble at Spivey Hall; the World Premier of Canticle by Kile Smith with Vocal Arts Ensemble; and the Santa Fe Desert Chorale 2016 Summer Festival. Sam received his Bachelor of Music in Vocal Performance at the University of Dayton and his Master of Music in Opera Theatre Performance at Arizona State University. He currently studies with Carole Haber at the New England Conservatory.